The Plough at Stratton, hosted by Andrew Crump, is a splendid old pub with parts of the building dating back to the 18th century. 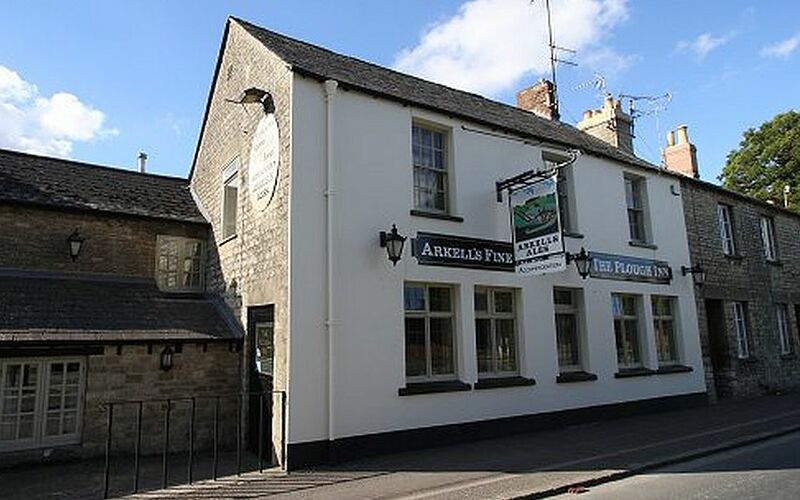 The pub was altered to its current state in 1970 and Arkell's purchased it in 1991. Having previously been on a busy road, the whole character of the pub has changed since the building of the new road to Gloucester, meaning The Plough is suddenly something of an off-the-beaten-track little pub with a quiet, convivial atmosphere - and well worth finding. Food is served lunchtimes and evenings seven days a week with a separate Sunday lunch menu. During fine weather, there is a beautiful pub garden to enjoy. The Plough also offers accommodation with two lettings rooms - please call to book.